IJP London – Accommodation – Welcome to the IJP. Find out more about the hotel here! The Tower hotel is a beautiful 4-star hotel sitting right on the Thames River close and within easy travelling distance to central London. 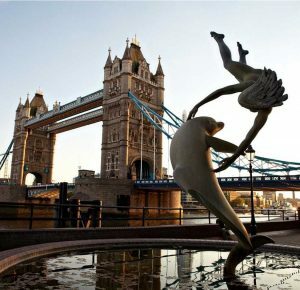 It offers lovely views of the famous Tower Bridge and St Katharine’s Dock’s, and is a short walk from Tower Hill Underground station. We have negotiated special rates for conference attendees to book via our agent, click here to see them. If you have trouble finding suitable accommodation please do get in touch with us! The Tower Hotel is located in the heart of central London. Its location and excellent choice of transport connections will put you at the centre of this vibrant city, making it quick, convenient and most importantly, easy to experience the very best of what London has to offer. Greateranglia to London Liverpool Street (one train every 20 minutes) ⇒ Circle Line to Tower Hill ⇒ Walk 8 minutes. At The Tower Hotel, you have two of London’s most famous landmarks – Tower Bridge and The Tower of London – as next-door neighbours. But with the hotel near Tower Hill Underground Station, mainline railway stations and the Thames Clipper fast ferry, this is also the perfect base from which to explore the capital. Very keen to deepen your knowledge of the human psyche? The capital also boasts a vibrant agenda of exhibitions and events. It pays to check the websites of the venues listed above as well as checking London’s guide to what’s on, Time Out.